Easily access the most superior collections of flowers and plants on earth. 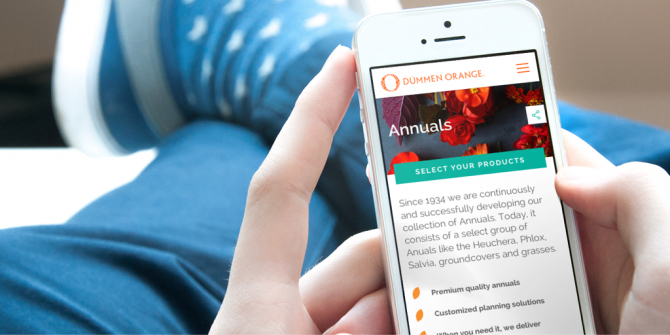 Dümmen Orange launched an online product catalogue far ahead of competition. In terms of processing cut flowers and pot plants they were already top notch. 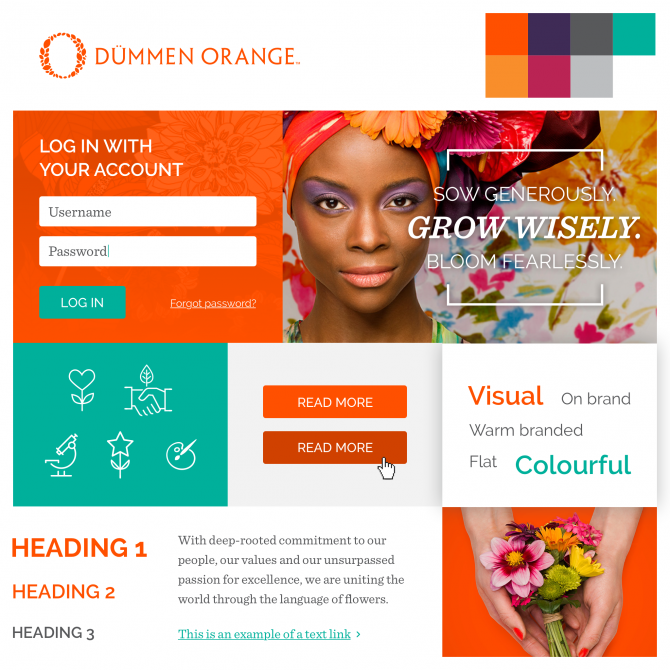 With the new brand illustrations, photography and rich colours we created a very strong online presence for Dümmen Orange. We dove deep into the customers’ mind, which resulted in a highly specific platform with advanced filtering and availability tracking. Not your everyday straightforward sales funnel. 9 languages, 10 regions. 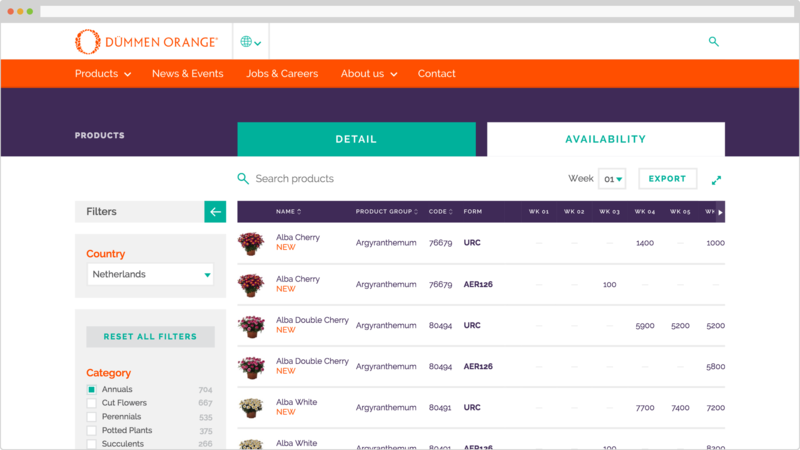 A fully responsive website and instant live availability for over 3,400 varieties. In July, 2016, Dümmen Orange was voted into the list of the Top 500 Dutch companies by Management Team Magazine. It ranked #179 in a survey taken by 1,100 managing leaders in the country. We really enjoyed working on this project. We created a recognisable online style that fit the client: colourful, warm, and elegant. 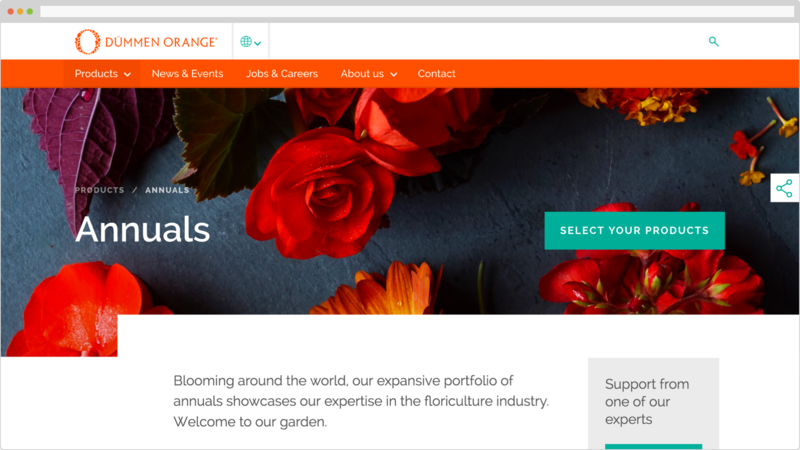 See the new Dümmen Orange website! We created this product with our partners in product development.